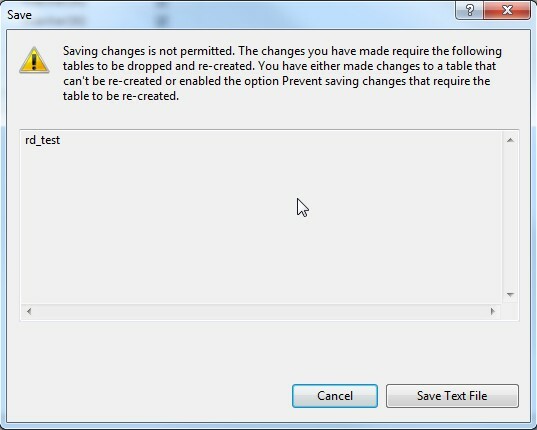 When remotely connect to SQL Server and edit structure/design of a particular table, it doesn’t allow you to save the changes although it works fine if connect directly to the database server. In order to deal with the issue, go to Tools => Options in the Microsoft SQL Server Management Studio or Microsoft SQL Server Management Studio Express. 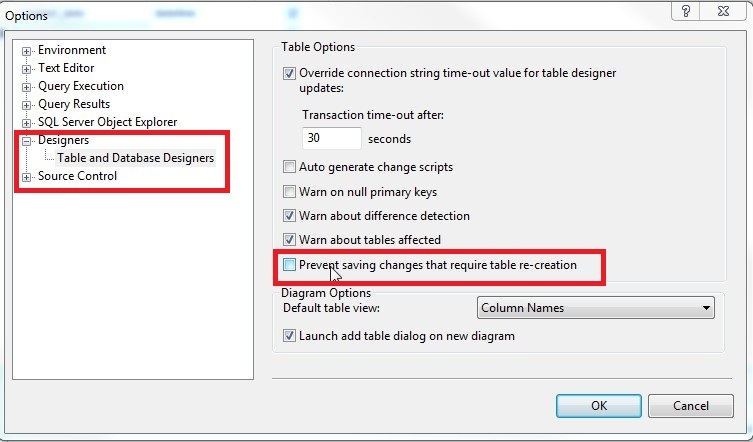 Expand Designers => Table and Database Designers, un check Prevent saving changes that require table re-creation option.